So, you’ve decided to take the plunge and switch from an Android smartphone to an iPhone? Naturally, your first step after getting the new device is setting it up. But how to get all your data: contacts, photos, calendars, to a completely different platform? Since newcomers to iPhone are almost exclusively coming from Android, Apple makes sure they have a quick and easy transition. 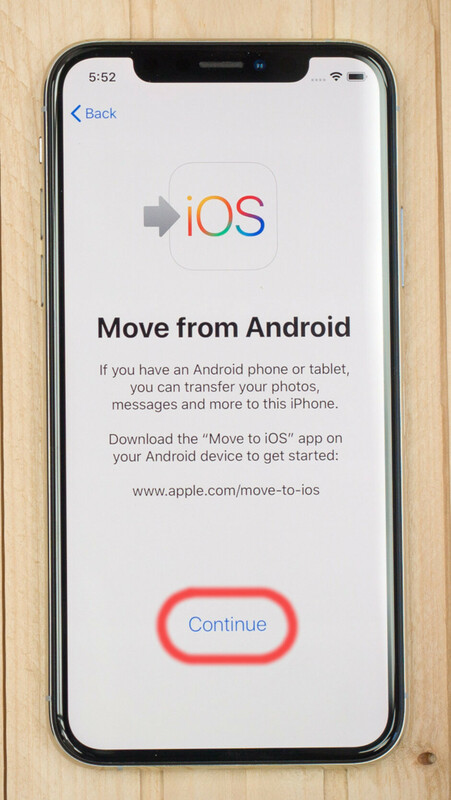 For the sole purpose of helping you move away from Android hassle free, Apple has developed an app called “Move to iOS”. Using the app, you get the easiest and most complete (in terms of data types transferred) migration experience. At least 50% battery charge on both smartphones. Step 1. Turn on your iPhone, choose your language, connect to your Wi-Fi network. When you reach the “Quick Start” screen, tap “Set Up Manually” at the bottom of it. Step 2. Continue with the setup steps. Set up your Face ID or Touch ID (depending on the model of your iPhone). 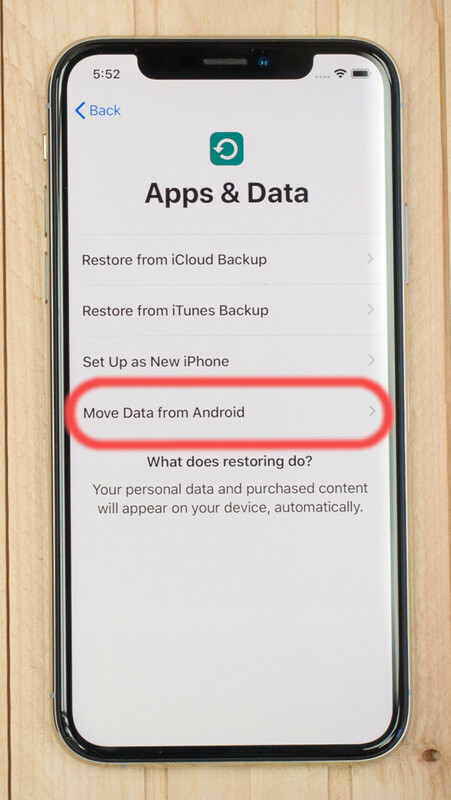 When you reach the “Apps & Data” screen, choose “Move Data from Android”, then tap "Continue". Step 3. 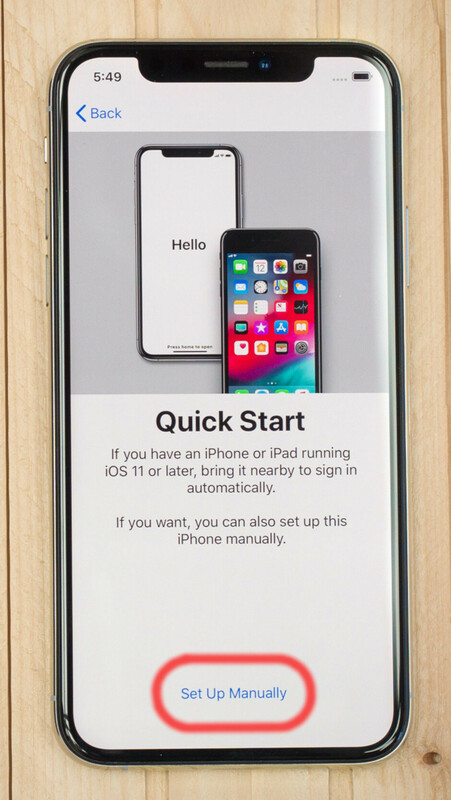 You'll see the six-digit code that will allow your iPhone to establish a connection with your Android device. Leave your iPhone for now and move to the Android device. Step 4. On the Android phone, download the app "Move to iOS" from the Play Store. Step 5. 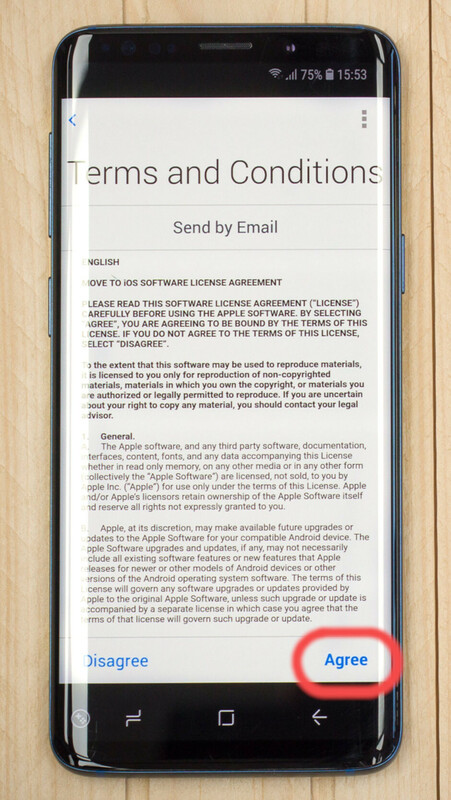 Open "Move to iOS" from your home screen and tap “Continue”, then tap "Agree" on the "Terms & Conditions" screen (if you really agree with them). 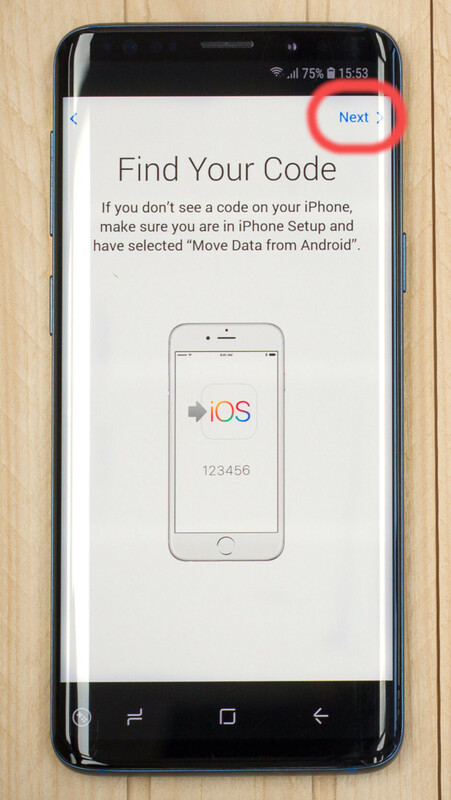 Tap "Next" on the "Find your code" screen (you already have the code waiting on your iPhone). Step 6. On the “Enter Code” screen type in the six-digit code displayed on your iPhone. After you enter the last digit, if the code is correct, the phones will connect automatically. Step 7. After the devices connect, you’ll be prompted to select the types of data you want transferred to your iPhone. Unless there’s something you don’t want to move, tap "Next". This will transfer your Google account (you’ll have to type in your password later), messages, contacts, calendar, pictures and videos. Step 8. Wait until the transfer is complete. Do not switch to other apps on your Android phone as this will interrupt the process and you’ll have to start over. The transfer will finish faster on your Android phone. The iPhone will take a bit more time to put all the information into its designated places – contacts into the Contacts app, pictures and videos into the Gallery app and so on. Step 9. On the “Transfer Complete” screen on your Android phone tap “Done”. 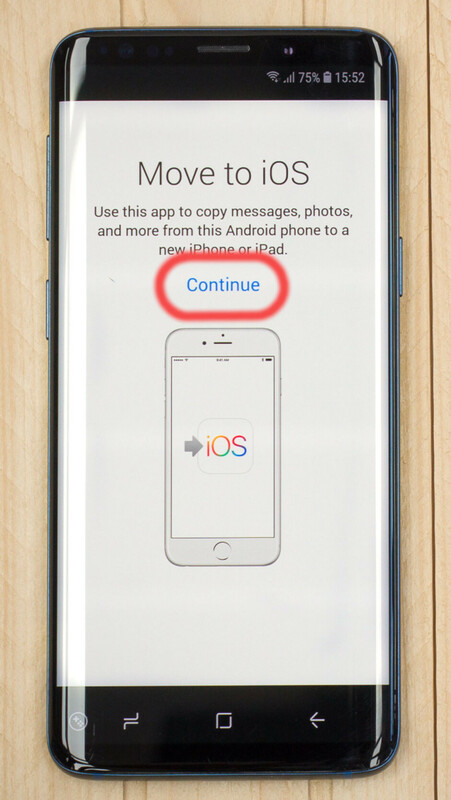 On the iPhone, tap “Continue Setting up iPhone” on the “Transfer Complete” screen. Step 10. Continue with the setup process on your iPhone. Set up your Apple ID, iCloud and Apple Pay. Agree with the terms and conditions and continue by setting up Siri, App Analytics and True Tone. The options you choose can be changed later from the Settings menu on your iPhone. 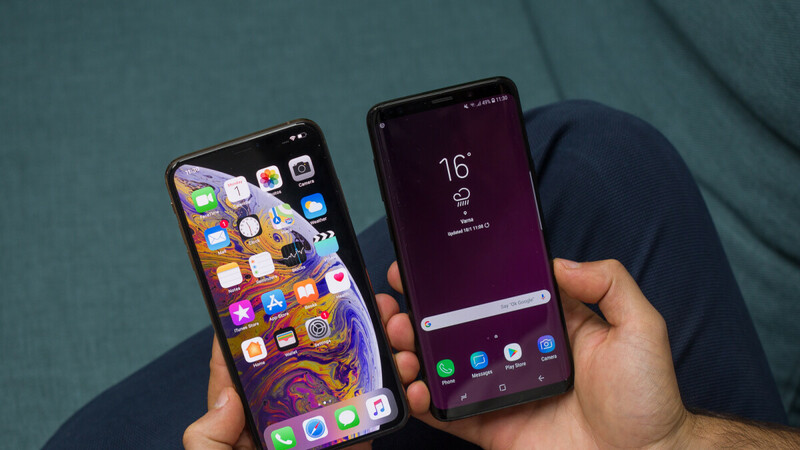 Once you get to your home screen, you’ll get a pop-up notification asking you if you want your iPhone to download any matching free apps that you have on your Android phone. Tap on “Add Apps” to accept. You’ll notice new icons appearing as apps begin to download. Once the apps are installed, you’re ready to go. Keep in mind that your login credentials will not be transferred. i don't know what's wrong with PA chat system but it's broken as hell. Do you have to set up an iCloud account? This is way faster than what I did to transfer my data to my iphone, The only difference is that my old Nexus 5X died on me so I was unable to do these steps, luckily I made a backup of everything, so after entering my credendtials into settings and downloading my google suite apps everything's back to normal. If you have a tool like Mobile Phone Data Transfer, then all your problem will be solved at ease.This tool is specially designed for smart phone users to transfer text messages or conversation between different platform, including Android (Samsung, HTC, LG, Motorola, Sony, etc. ), iOS (iPhone Xs, iPhone Xs Max, iPhone XR, iPhone 8 Plus, iPhone 8, iPhone X, iPhone 7 Plus, iPhone 7, iPhone 6S, iPhone 6S Plus, etc. ), and so on. In addition to SMS, other data like contacts, Apps, call history, music, photos, movies, etc. from iPhone to Android as you like. To be honest, it is not an easy thing to transfer Android contacts to iPhone or export iPhone contacts to Android phone. That's because neither Android nor iPhone allows users to freely save contacts to other devices. With Coolmuster Mobile Transfer, which is designed to help users easily share all files between smart phones. Phone to phone Transfer tool ,Mobikin transfer for mobile can help you transfer your contacts from Android to iPhone . You just need to connect your two phones to the computer, and select the wanted contacts to transfer. This way is effective and safe, the software will not carry any risks to damage your phones. To transfer contacts, photos and data from Android to iPhone, first you can use Android data manager to help you transfer all contacts, photos and data from Android to pc via usb cable or wifi. Then you can use Coolmuster iOS Assistant to help you import them to iPhone from pc directly.